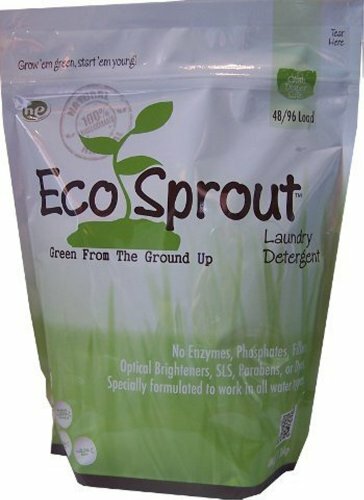 Eco Sprout Detergent is an eco-friendly, all natural detergent that's great for your entire family, and SAFE for cloth diapers & sensitive skin. It will clean and disinfect your diapers while rinsing clean. No more battling with eye-watering ammonia smells, as Eco Sprout dramatically helps neutralize the odor. The scent is for you to enjoy and will freshen your washing maching and make your laundry room smell nice. It is designed to safely wash out of your diapers or clothing and leave nothing behind but a clean fresh scent. detergent is safe for all water types and is designed to work with both HE and conventional machines. detergent is free from dyes, brighteners, enzymes, phosphates, & is SLS free. It is also 100% natural and biodegradable.